We don't mind waking up early on weekends if it means tucking into a delicious array of French, international and Chinese delights. 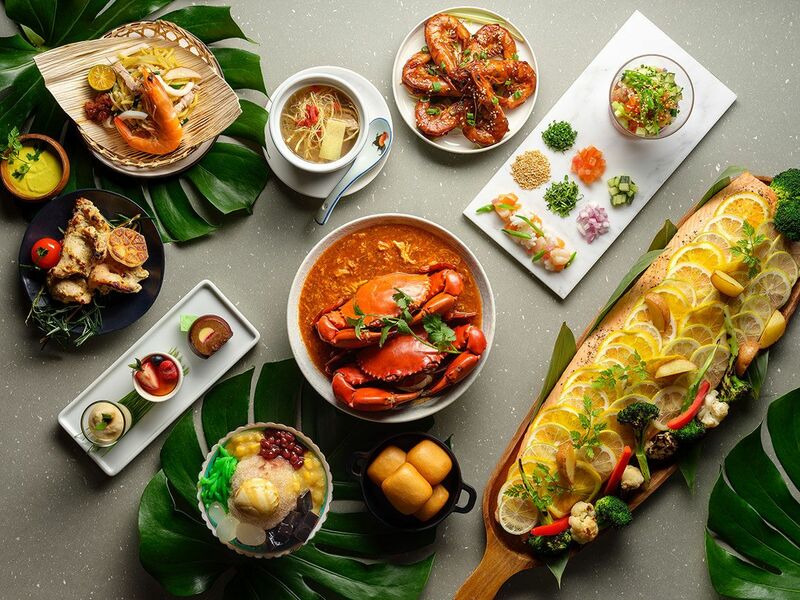 Which is exactly what you can have at Sofitel Singapore City Centre’s Magnifique Brunch that takes place every Sunday. You will only need to choose between having unlimited non-alcoholic beverages or Duval Leroy champagnes; we’d go for the latter as it completes the experience, which often begins with freshly shucked oysters and seafood. But make space for the charcuterie and cheeses, before moving on to the mains which include quintessential Chinese and French fare. Get cracking on some parmentier, a heavenly serving of fork-tender braised beef cheek rillettes topped with rich potato gratin, and scallops tossed with asparagus and XO sauce. Complete the afternoon treat with free-flow bubbly, and do remember to spare a moment or two to savour the city view. Its laidback ambience, delectable food and quality sake offerings make this an ideal place for after-work gatherings with friends. Veteran chef Makoto Saito helms the kitchen and has crafted a comprehensive prefecture-focused menu that includes hot and cold appetisers as well as charcoal-grilled meats. Start with the Kochi tomato and pickled tomato compote, which just explodes with freshness in the mouth, and, perhaps, Hiroshima oysters, served with a tangy ponzu dressing. The meats on sticks are the highlight, but do ask for recommendations. Chef's favourites include the bonjiri (chicken tail), which is tender, smoky and slightly fatty, as well as the seseri, or chicken neck, that’s doused in a spicy wasabi sauce. Don’t forget to pair these with exclusive Jinjo sake. Head chef Aitor Jeronimo Orive and Ken Sakamoto, chef-owner of Japanese-Italian restaurant Cenci in Kyoto, will join forces for a four-hands lunch and dinner event from June 28 to 30. Iggy's founder Ignatius Chan says that this has been in his plans for a long time, after enjoying some fantastic experiences at Cenci. Their cuisines are different—Cenci is Italian-inspired while Iggy focuses on modern European flavours with an Asian twist—but the chefs have found a way to come together to present a seamless menu that highlights the season’s best produce. The menu is a surprise but they can confirm that it will take diners on a sumptuous journey through Italy, Europe, Japan and Singapore. The dinner buffet spread here has gotten bigger and better with two new live stations. The first features a healthy selection of double-boiled soups—there are eight options served on rotation, with one flavour served alongside other soups. Do keep a look out for the ginseng chicken soup, black chicken herbal soup, and traditional ABC pork ribs soup, among others. The mains still boasts a mix of familiar favourites such as pork belly with crackling skin and Singapore-style Hokkien mee, and international hot picks like the herb confit salmon fillet. Craving fresh seafood again? Choices are aplenty at the seafood on ice section, which includes Boston lobsters and seasonal oysters. The other new live station is another nod to local must-haves—in this case, teh tarik and cendol with durian ice cream. Here’s another collaboration to look forward to. This time, it features executive chef Drew Nocente of Salted & Hung and executive chef Adam Liston of the acclaimed Shobosho restaurant in Adelaide, Australia. A special menu will be available for lunch and dinner on July 11 and 12. Liston's culinary philosophy is centred around fire—in fact, shobosho means firehouse in Japanese—and it’s safe to say that the eight-course lunch and dinner menu celebrates the fire element. His dish of raw yellowfin tuna, for example, is accompanied by charred edamame, black rice, bonito cream and grilled nori, while Nocente’s scallop ceviche is cloaked in charcoal emulsion and house-cured bottarga.